Small tables can customize the interior decor, giving it a powerful touch of originality. Choosing the furniture piece is as important as choosing where to place them, making the tables essential for creating subtle surfaces in the room, whether complementing or contrasting with the decor style. 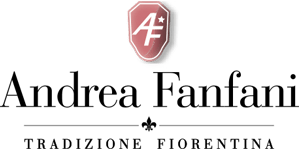 Andrea Fanfani's selection of small tables includes a wide array of shapes and sizes, from upholstered tables covered in elegant velvet or deep-tufted damasks to wooden tables with marble or glass tables and finely-crafted legs. The meticulous workmanship of the table legs speaks to Andrea Fanfani's crafting mastery. The legs' curves and finishes faithfully recreate Baroque style for pieces of great originality. The small tables give personality to the interior decor while also providing practical surfaces. The small carved wood tables feature sculptural shapes that add a touch of timeless elegance with classical flair even to modern furnishing.